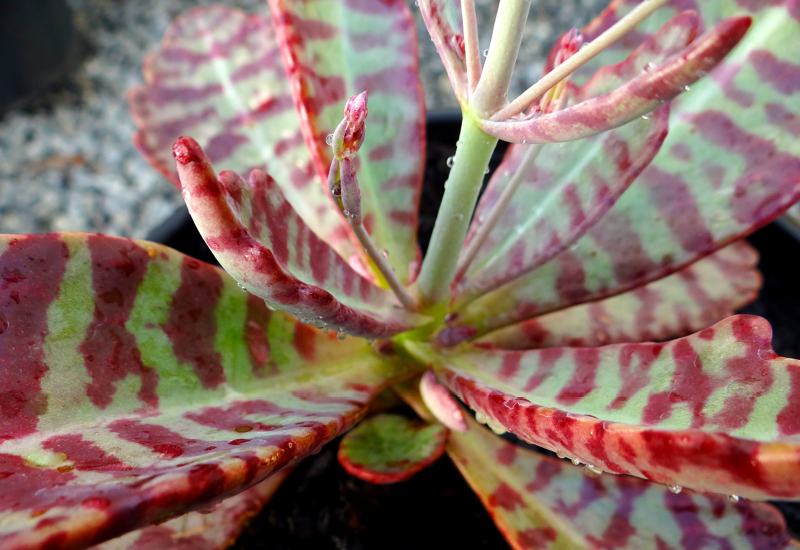 This succulent has been very popular, and it’s easy to see why with those marvellous maroon markings. The sky’s the limit with decorating with Kalanchoe Humilis. It can either look great potted up by itself as a feature on your table or mixed with others to provide amazing leaf colour. Easy to grow in a bright and sunny spot. The flowers are small and lilac in colour and rise 25cm above the plant. Remove spent flower head after flowering.